Before I tell you about our personal battle to squirrel-proof our birdfeeder, I want to introduce you to the lead character in this Hub -- a smart squirrel. Take a look at this pic. This generic photo could be any squirrel in your yard. The critter is smart. He can figure out how to get seeds from your feeder. Look at those fingers and nails -- made to climb trees and hold nuts -- he can hang from this fingers to reach the seeds. I can't blame squirrels for robbing bird feeders. They don't eat cellulose; instead, they eat foods rich in protein, carbohydrates, and fat -- such as nuts and seeds. And where else can they get such an abundant supply of seeds but from a bird feeder? 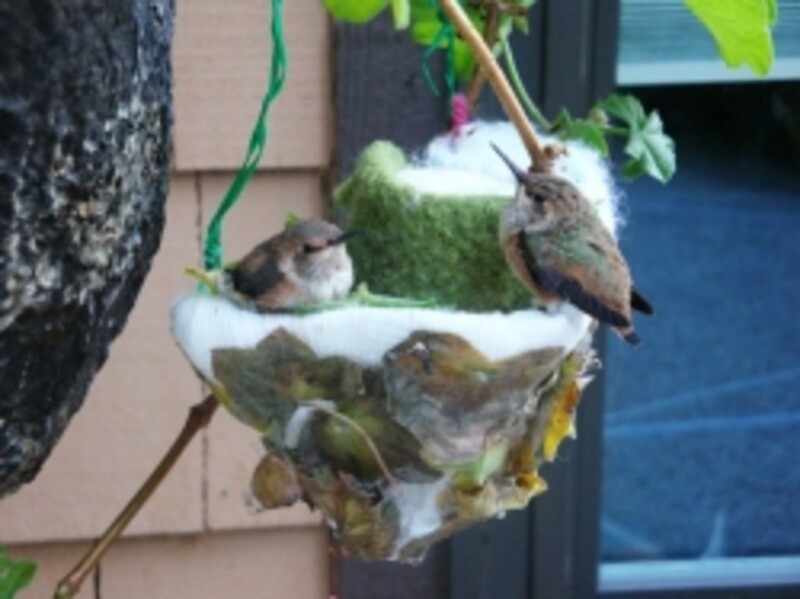 Several years ago my wife and I thought it would be a good idea to set up a bird feeder. 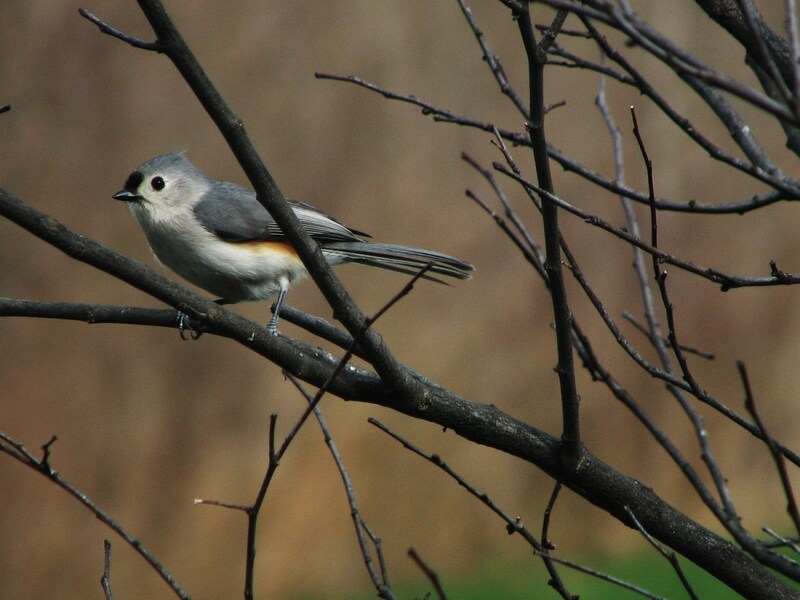 We enjoy birdwatching and wanted our property to be bird friendly. 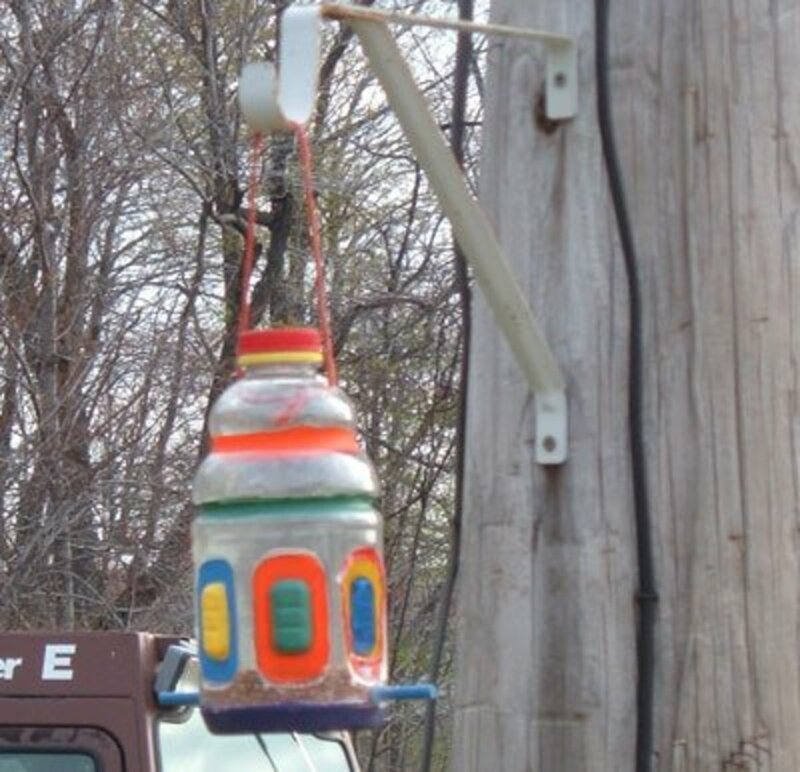 Our first birdfeeder was an attractive, hard plastic tube with dark green perches. We wanted to watch and identify the birds as they came to rest a moment on a perch and get a seed. So we placed it near our deck, suspended from a low-hanging tree branch. At first, it was fun. The birds arrived, retrieved a seed and then flew into nearby shrubs where they had cover and would feel safe and then eat the morsel we had provided. We enjoyed identifying different birds and discussing their behaviors. Then one day it happened. 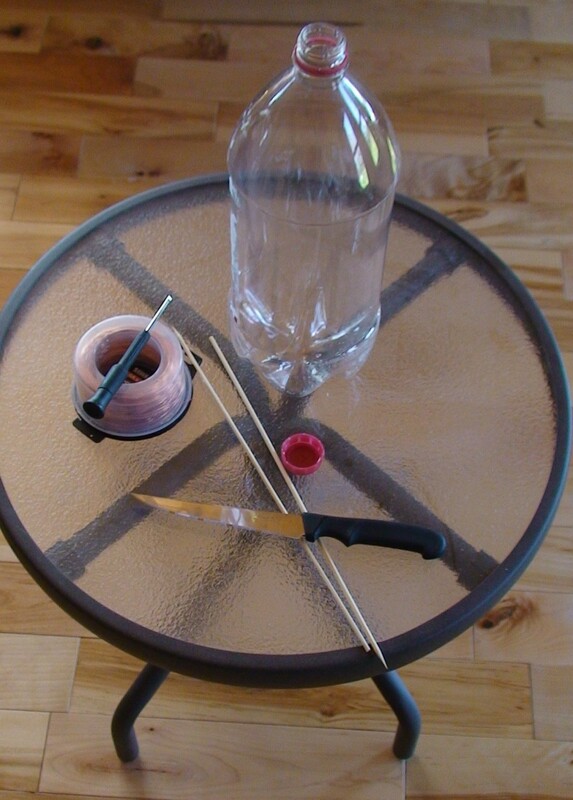 We were shocked one morning when we discovered our bird feeder in pieces on the ground. We picked up the hard plastic tube. Some critter had actually chewed the plastic away from several perches and gotten into the feed. The weight of the critter must have caused the whole feeder to crash to the ground, breaking the top and bottom. So much for that feeder. The manufacturer should have known that hard plastic was no match for a hungry critter looking for food. But who could that critter be? 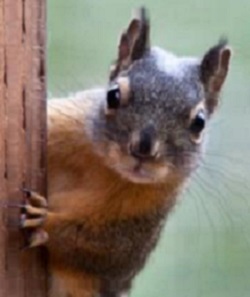 We'd heard stories about cunning squirrels and how they taunt owners of bird feeders. So we suspected that our perpetrator was a squirrel. The next feeder we purchased was an attractive one made of metal and glass which we thought was squirrel proof. This time we rigged a small rope from the overhanging eaves of our porch where we could again enjoy feeding birds flocking to retrieve the treats we put there for their taking. Alas, the smart critter stole the birdseed right out of our feeder. 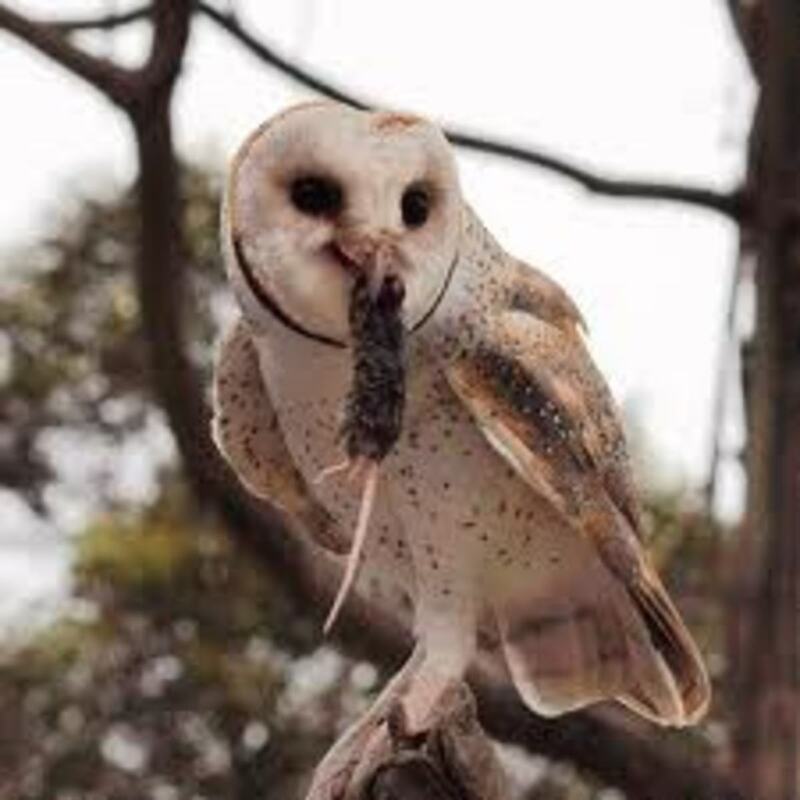 He (or she) climbed up a nearby tree, jumped onto the roof of our porch, then with sharp and tenacious claws, climbed down the rope to the feeder and stole seeds from our metal and glass feeder. We were both annoyed and entertained -- annoyed that he would steal seed from our feathered friends, and entertained by his acrobatic antics. Our response was to shoo him off and prepare for our next front in our battle. The obvious solution was to install a squirrel baffle -- one of those plastic domes that you mount on the cord above the feeder. The theory is that once the squirrel comes down the cord and puts his weight on the baffle, it will tilt and the squirrel will slide down and fall to the ground, or at least be deterred from his effort to steal more seed. Wrong! Theory is theory, and theory may not work in practice. Our thieving squirrel simply hung by the toenails on his rear feet, and stretched himself down, pushing the baffle aside, and stole more seed. What could we do but shoo him off. He got so good at this that it seemed like a regular occurrence. Whenever we'd find him stealing seed, we'd make loud, menacing noises and eventually he'd simply drop to the ground and wait for his next opportunity. One day when I went to replenish the bird seed, I found the whole feeder on the ground. The metal was mangled from the drop of 15 feet, and the glass was shattered. Once again, our cunning squirrel had prevailed. He apparently chewed the rope, dropped the whole thing to the ground and invited his squirrel friends to join in the feast. It was time for us to rejoin the battle. I bought a stronger metal feeder with glass panels. Instead of a fabric rope, I installed a stainless steel wire rope. The distance between the the baffle and the feeder was shortened, thinking that this would make the baffle more effective. This would surely work. No, it did not work. Even more amazing, one day our bushy-tailed entertainer worked his way down to the metal lid of the feeder, lifted it up enough for him to dive down inside the feeder and gorge himself. When we saw him we saw his bushy tail sticking up out of the top of the feeder, and watched through the glass as he ate to his heart's content. Now I was worried that he was caught in a trap -- that he could not get out by himself. So I went outside and walked over under the feeder preparing to lower it and help him get out. I need not have been concerned. With a huge frantic move, he backed out of the feeder and leaped through the air, landing about 20 feet away. Then he scurried away. It's now time to try something else. Maybe it will be another adjustment of the baffle. Maybe a larger baffle. Maybe twin baffles. Maybe we'll just give in and buy a brand new Droll Squirrel Proof Feeder. Take a look at the perch ring on the bottom of the feeder in the photo. 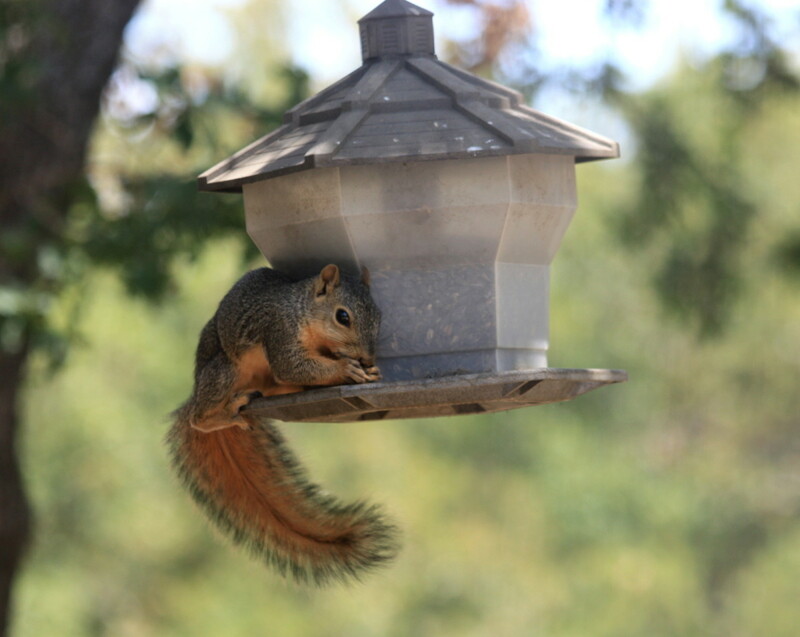 The weight of a squirrel will cause the perch to drop, close the feeder ports and spin around. That's because Droll has a rechargeable battery and electric motor in the feeder. 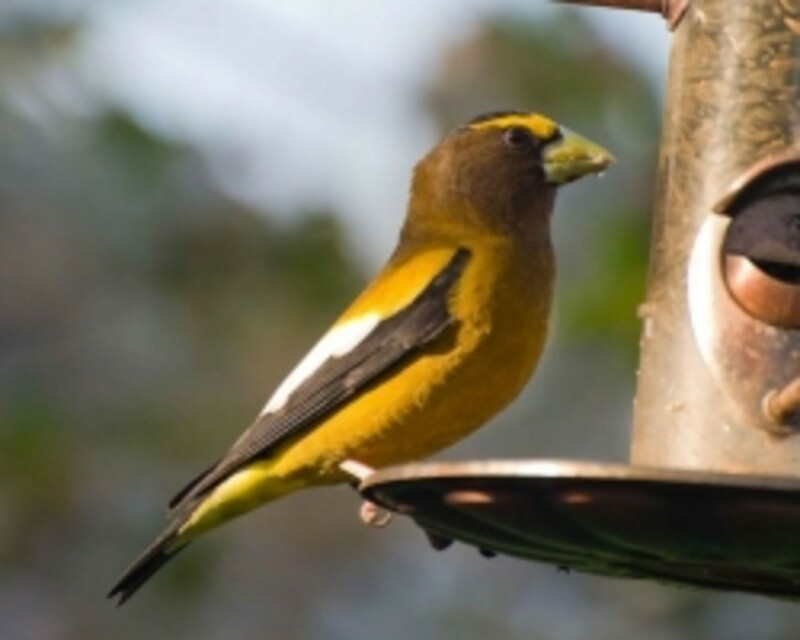 Birds are not heavy enough to tilt the perch and cause it to spin. The cylinder is 21" long -- too long for a squirrel to hang by his toenails and steal seed from an open port. The cylinder is made of hard polycarbonate to resist chewing by the squirrel. Just know that as of today -- the squirrel has won the battle. My wife and I have a new respect for acrobatic skills of squirrels. We have concluded that squirrels are not dumb -- they are downright smart. We haven't decided our next move. 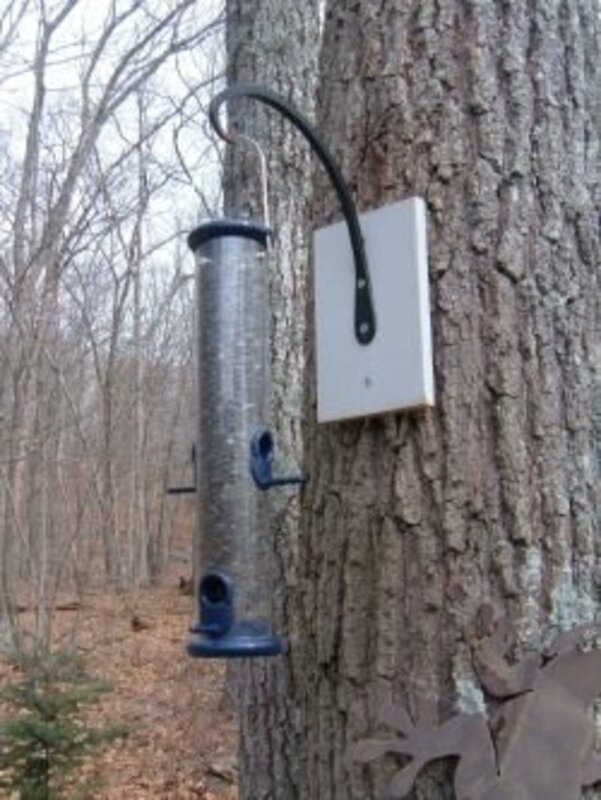 Perhaps we will give in an purchase that Droll Yankee Flipper Squirrel Proof Feeder. Stay tuned! We'll add another episode and let you know hot it turns out. We still enjoy watching the many birds that arrive at our feeder -- but we also laugh at the antics of our squirrelly friend even though we don't appreciate his thieving ways. What do you think is the ultimate squirrel-proof bird feeder? 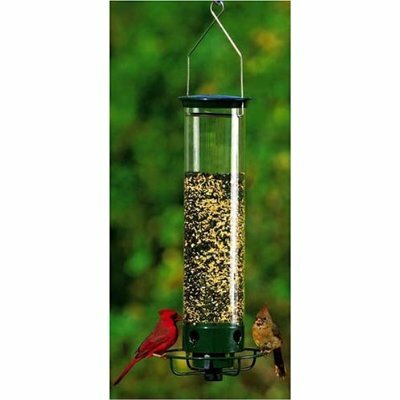 Are you putting the feeder on a metal pole? If so, you can grease it with vegetable oil. It is hilarious watching the squirrel sliding around on it. Eventually, he will still find a way to the feeder, but it is fun while it lasts. Great hub! Trust me, I feel you pain! Thank you for sharing this great hub and I now look forward to reading many more by you. Some times I feel like but why not feed the squirrels.